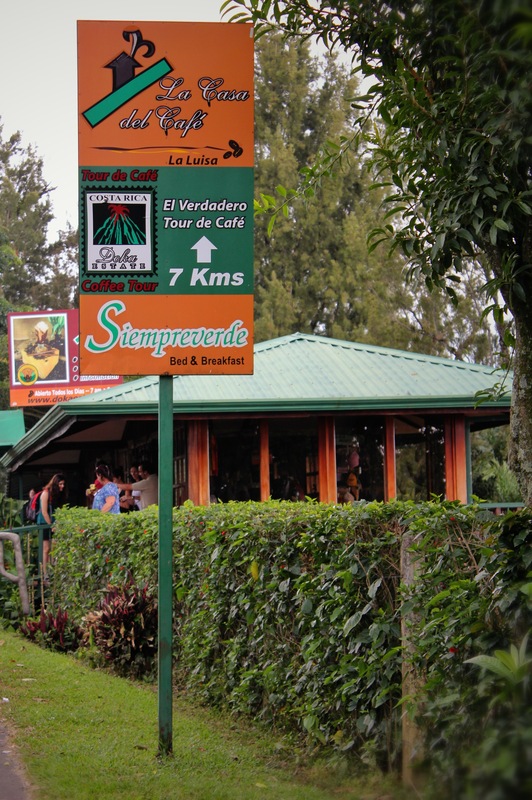 Doka coffee is known to many as the best coffee in Costa Rica. I'd agree. The winner of the blog subscription contests are: Kate Ouellette, Kimberly Ferencz, Chuck Robertson, Alison Despres, Daryl Poeira, Joseph Ho, Susannah Williamson, and Remy Haynes! You all will be receiving a thank you card, printed photo with a special back story from the trip (different for each winner), and some random little goodies from Costa Rica. All for just subscribing to this blog. What a deal. Please, if you have not yet, email or message me your mailing addresses. It will take a little while for me to gather everything, but I guarantee you it will be worth the wait. And the grand prize winner, who will be receiving all of the above and a bag of amazing coffee straight from the Doka Estate is Joseph Ho. This is some good stuff. The estate is located on the fertile slopes of the active Alajuela Poas Volcano, which we hiked to the top of after a day of distributing shoes. All other donors and sponsors will receive a thank you card and photo. Please email me your mailing address or DM me on Twitter, as soon as possible. Lots more news to follow, including news of a return visit to the land that stole my heart in May of 2012. Check back soon. To donate to the Costa Rica Humanitarian Foundation, please click here. A permanent link is now at the top of the blog. Made our goal just in time! Thanks to all who donated. I have long wanted to take the time to travel abroad and help those less fortunate. Fund raising abroad allows you to view the locals and landscape in a way never imaginable on a vacation. This trip to Costa Rica is so important to me. I want to help improve quality of lives, while enlightening mine. I will be using this blog to help raise awareness, fund-raise, and finally document my wonderful journey to Costa Rica. The DSLR is poised and ready, and ears are perked at attention. Can't wait to capture those beautiful smiles! The Soul Experience is a blog that allows you to follow me as I travel leading teams of volunteers with Soles4Souls around the globe — giving to others in need. Katie is the Experiential Manager of Travel4Souls where she plans and leads groups on mission trips all over the world. You all helped make this happen. Follow my journey by subscribing to these blog posts. Lots of photos and stories to come. A list of donors from 2011 will be archived and highlighted on a page within the blog, posted later today. More news to follow this weekend. Thanks for all of your support.